Storyteller is committed to protecting and respecting your privacy, ensuring to abide to the guidance of the GDPR and EU Data Protection policies. You may give us information about you and your company by filling in forms on our site or by corresponding with us by phone, e-mail or otherwise. The information you give us may include your name, address, e-mail address and phone number and details of your party in some cases. With regard to each of your visits to our site we may automatically collect the following information, which has no connection to your personal details, more you as an unknown visitor to our website. This information is recorded more for statistics for Storyteller to see how many visitors the website has had and which areas of the website are popular. This information is made up of: technical information, including the Internet protocol (IP) address used to connect your computer to the Internet, browser type and version, time zone setting, browser plug-in types and versions, operating system and platform; information about your visit, including the full Uniform Resource Locators (URL) clickstream to, through and from our site (including date and time); Videos viewed or searched for; page response times, download errors, length of visits to certain pages, page interaction information (such as scrolling, clicks, and mouse-overs), and methods used to browse away from the page. The information we collect via cookies and general browsing is not connected to your personal identity so this information is not used in anyway to market to you or collect data on your individual identity. For example we may know that ‘someone’ looked at ‘party menu’ but we will not know that person's name, email address or personal contact details. Just that they were browsing in the the midlands of the UK for example. If you have made an enquiry/booking we have your details on file in order to respond to queries and to follow up with any additional information. This will be information you would have provided during your enquiry. 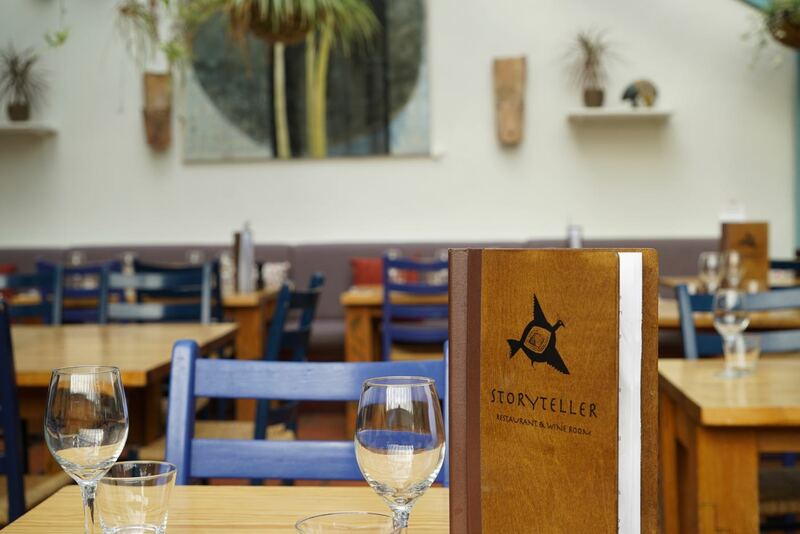 If you have joined our points scheme you would have accepted/confirmed receiving email newsletters from Storyteller. The data held for this purpose is just name, email address and your current points level. If at any time you no longer wish to receive these emails you can unsubscribe using the links at the bottom of said email or you can prevent any future communications by requesting removal at post@storyteller.co.uk. The data we hold on our clients is used solely for communication regarding production projects. If you have joined our email newsletter list and confirmed acceptance for marketing via email then we may use your email address for an occasional newsletter or promotion. We will not sell your data to any third party. Thanks to the GDPR you have the right to ask us not to process your personal data for marketing purposes. You can also exercise the right at any time by contacting us at and we will remove all data associated with you. You can also unsubscribe from any email newsletter you may receive at the footer of the email. Our site may, from time to time, contain links to and from other websites. If you follow a link to any of these websites, please note that these websites have their own privacy policies and that we do not accept any responsibility or liability for these policies. Please check these policies before you submit any personal data to these websites. The Act gives you the right to access information held about you. Your right of access can be exercised in accordance with the Act. Any access request may be subject to a fee of £10 to meet our costs in providing you with details of the information we hold about you. To have any data removed that is held by Storyteller about you please email post@storyteller.co.uk.